CUPA agencies come in all sizes from small rural agencies to large urban ones. Our CUPA profiles have visited Calaveras County, Sacramento County and San Francisco, each unique in its own way. This time we go down south to Orange County and check in with Darwin Cheng their CUPA Program Manager. Darwin has been with Orange County Environmental Health since 2007, he is the current chair of the California CUPA Forum (CFB) and sports a law Degree from Western State University of Law, which makes his appointment as the CFB enforcement issue coordinator a good fit. Orange County is more populous than 21 states, is home to the happiest place on earth and has a wide array of industries. Orange County Environmental Health (OCEH) delivers all of the traditional health programs from housing to food safety with a staff of approximately 200, 37 of which are in the CUPA program. OCEH is also the CUPA for the entire county. Darwin likes to think of his unit as a well-oiled machine. In this age of technology with apps for everything, smart phones, tablets and laptops the importance of personal interaction and customer service is often lost, but not in Orange County, where customer service is the cornerstone of this CUPA. OCEH offers a variety of compliance assistance resources and one industry favorite is the California Environmental Reporting System (CERS) Lab held every Thursday from January to April. At the lab staff teaches businesses to navigate through and comply with CERS, providing the laptops and helping attendees enter or update their information. Thousands of businesses each year take advantage of this opportunity, enabling business to comply and ultimately making the inspectors job easier. This mutually beneficial service is truly customer service at its best. The CUPA program has developed over the years and the technical expertise required for inspection staff has constantly increased. OCEH inspectors are proficient in all CUPA programs areas which makes keeping staff well trained a constant challenge. Like most agencies in the state OCEH staff attends the CUPA conference, specialized training for enforcement and investigation, the Basic Inspector Academy and other training opportunities. In addition to this classroom training OCEH has developed a FREE on-line UST training for inspection staff that helps them in preparing for their ICC certification. This online training allows staff to study for the ICC exam when it fits their schedule, eliminating multiple days of classroom training making it an efficient and cost effective alternative. OCEH intends to roll this training out soon and offer it to CUPAs statewide. This type of leadership is what makes the CUPA program so unique, the sharing of resources and the willingness to develop a training program and then with no strings attached offer it to other agencies. This has happened over and over, CUPAs sharing what they develop because they have the ability, resources and recognize the statewide benefit. Agencies of all sizes will benefit from this on line UST training for years to come. This same big picture thinking applies to how they regulate. The CUPA program started with the regulation of traditional industries and as it matured other areas of regulatory oversight have emerged. Retailers have become a significant part of the CUPA regulated facilities. Large big box stores got the message early that outdated and retrograde retail products may be hazardous and were required to be disposed of properly. It took more time for that same message to get to the smaller chains, mom and pop retailers and salon suppliers. OCEH works hard to educate and assist these smaller businesses to understand the regulations and comply. Darwin believes the best approach is to work with the retail industry to develop environmentally responsible regulations and guidelines for all retailers in California and hopefully nationwide. As the third largest county in the state with more than 8,000 regulated facilities OCEH has their work cut out in delivering all of the CUPA programs. Thankfully they have some partners helping, the six Participating Agencies (PAs) that deliver portions of the program. OCEH has developed a symbiotic relationship with their PAs, working together just like it was envisioned when the program was developed. OCEH meets with the PAs quarterly, assists with enforcement, provides support with emergency response when requested and even shares the CERS portal lab training with the PAs regulated community, truly working together for the common goal of regulatory compliance. This well-oiled machine takes pride in their experienced and proficient inspectors. That makes the staff particularly attractive to other agencies when hiring, success often results in staff turnover, creating a constant need for new inspectors. That is why OCEH has developed an intern program that helps put the CUPA program on college graduates radar as a career. The intern program is about 10 weeks long and offers students a chance to see what CUPAs are all about. Participants are given a project that fits their skill set with an opportunity to actually produce a product that is tangible. An example project is the resources for industry on the OCEH website which contains guidance for complying with the Haz Waste, Haz Mat, UST and APSA programs. The internship lets OCEH get to know the student, their strengths, work ethic and most importantly their interpersonal skills. As Darwin says, those people skills are imperative, you can train folks on the technical aspects of the program, but common sense and people skills are the foundation of a successful CUPA program. Irrespective of size, Unified Program Agencies in every city and county in California continue to work together to protect and educate their communities. Orange County has always demonstrated the leadership and innovation that has made the CUPA program a regulatory model. So whether you are visiting the happiest place on earth, the Golden Gate Bridge or the majestic Sierras there is always CUPA on duty. The challenges, hazards, geography and demographics may vary but they share a common mission, to protect their communities one inspection at a time. Calaveras County is located in Northern California just east of Stockton in the foothills of the beautiful Sierras. Although it has a total population of just over 50,000, this rural county’s natural beauty and resources are bigger than life. Calaveras boasts a spectacular scenic byway and Big Trees State Park with Giant Sequoias, truly incredible giants chronicle more than 2000 years of majesty. Steeped in history and folklore, authors such as Mark Twain and Black Bart told of the rough and tumble gold rush era. Today you can relive these yesteryears in the town of Columbia, where you can pan for gold or ride a stage coach. Enjoying its rich history, slower pace and natural beauty are what Calaveras County is all about. Unified Program Agencies come in all sizes. This time we will find out about life as a smaller rural agency when we hear from Lisa Medina, Environmental Health manager for Calaveras County. Lisa joined Calaveras County in 2016 coming from San Joaquin County, Lisa is well versed in all CUPA and traditional Environmental Health programs with more than 21 years of experience. Calaveras Environmental Management Agency is comprised of several departments namely Environmental Health, On-Site Waste Water, Air Pollution Control, Agriculture Weights and Measures and Animal Control, yes they certainly to do more with less. Calaveras was certified as a Unified Program Agency (UPA) in 2002 and former CUPA and Environmental Health manager Jason Boetzer was named as an Outstanding CUPA individual in 2007. The challenges for rural UPA’s are much different than their urban counterparts. All Unified agencies have the same regulatory responsibilities but the methods of implementation are as diverse as the State in which we live. Like most rural CUPA’s, Calaveras’ staff members are trained to be proficient in all areas, as many as 15 different programs. This generalist approach requires extensive training and represents a significant investment in each employee. That makes the well-rounded rural inspector a prized commodity explaining why smaller CUPA’s have become the training ground for larger agencies that offer higher salaries. When a rural CUPA loses one person it is a huge loss since the CUPA program may have only two or three staff, so attracting new employees is an ongoing effort. A career as a rural county inspector isn’t for everyone but may be perfect for professionals seeking a quality of life and the natural beauty that come with this job. So, whether you are at the beginning or end of your professional journey always consider rural options. Large geographically, but with fewer businesses, a challenge looming on the horizon is the requirement for all Single Walled Underground Storage Tanks to be removed by 2025. The high cost of owning and operating UST sites has resulted in fewer retail gas stations. Assisting UST owners in identifying options and a plan of action are a priority for Calaveras EMA. This issue is a major concern for many rural agencies due to the dwindling number of sites able to comply with the mandates and the fact that there is still a critical need for a dependable fuel supply countywide. More on this topic as it gets closer. The communication between UPA’s and state agencies continues to improve and is critical to the Unified Program’s success and guidance. This type of collaborative communication provided by our state partners is essential for consistency statewide. The Technical Assistance Groups (TAG’s) and regional meetings provide a venue for collaboration and problem solving where CUPA and state staff work together to identify issues and develop solutions. A new and improved CUPA evaluation process is another mechanism for refining the program and gives CUPA’s important feedback on implementation and administration. In the end, the continuing development of this mutually beneficial relationship between CUPA agencies and their state counterparts makes the CUPA program a perfect example of the success that can be achieved when you work together toward a common goal. Complex and changing regulations makes keeping current on all things CUPA challenging. Thankfully, the resources available have improved and many agencies rely on them now more than ever. Resources like the CUPA Forum and Cal EPA websites, the annual CUPA training conference, participation at regional meetings and Technical Assistance Groups help to provide information and guidance to agencies statewide. Training is a constant need and Calaveras has found the Rural Training Assistance grant, funded by the CUPA Forum Trust, particularly beneficial for training new and seasoned staff. The grant provides classroom and/or field training in all CUPA programs free of charge to rural agencies, check it out at calcupa.org. Just implementing the Unified Program is quite a challenge which sometimes is impacted by unforeseen circumstances. The County was decimated by the Butte fire in 2015. Large emergencies like wildfires quickly overwhelm local agencies and may impact their programs for months or years. The fire lasted weeks but the recovery and clean up has lasted years and Calaveras EMA had multiple roles. That makes the CUPA Forums efforts on mutual aid to assist in the support and recovery increasingly important as wildfires and earthquakes are not going away. The Calaveras EMA is a shining example of the many small rural agencies that must combine multiple disciplines from Environmental Health, CUPA and Air Pollution Control in order to maximize their efforts to do more with less. Past, present and future ability to successfully administer a myriad of programs and respond and endure natural disasters is why Lisa dubbed Calaveras “The Little CUPA that Could”. San Francisco CUPA "The Agency that Knows How"
San Francisco is one of the most iconic cities in the USA, it has been called the "City that knows how" or "Bagdad by the Bay" but never Frisco. I have been a lifelong resident of the Bay Area and San Francisco has always just been known as "The City" to me, just look at the jerseys of the Golden State Warriors. The Citys colorful history extends from the rough and tumble days of the Barbary Coast with its Shanghaied Sailors and the gold rush era to the 1906 earthquake and fire that would remake the city. Todays San Francisco is far different from the rugged port city run by longshoreman or the Haight Asbury hippies and the flower power movement of the 60s. Todays San Francisco is one of the most desirable yet expensive places to live in the world, boasting a very diverse community with all of the associated urban issues. This presents an enormous challenge for regulatory and public health professionals that must adapt to a rapidly changing world. The City is unique in many ways and this includes being the only CUPA that is both the City and County. The City & County of San Francisco (CCSF) is the CUPA for San Francisco. The Department of Public Health (DPH)-Environmental Health Branch (EHB) is the lead agency within the CCSF for implementing CUPA requirements. Within the EHB, the Hazardous Materials and Waste Program (HMWP) implements the CUPA requirements and is one of seventeen programs administered by EHB. I recently had an opportunity to sit down with the HMWP Program Manager, Paula Stewart, at the 2018 annual CUPA Training Conference and got a firsthand account of how life is in the big city. EHBs mission is to, "Improve Environments, Protect Health and Promote Equity." In that effort, the Citys CUPA regulates approximately 2500 facilities with 11 inspectors, two program leads, one public health technician, 2 administrative support staff and a manager. Inspectors are assigned to specific districts and handle all Unified program elements as well as two non CUPA programs, Medical Waste and Chlorofluorocarbon Recovery and Recycling. Over the years the types of industry in the city have changed, many of the longtime heavy industry types, like ironworks, plating shops, woodworking and manufacturing have left the city. These industries have been replaced by a wave of biotechnology, research facilities, hi-tech industries, educational institutions, urgent care facilities, microbreweries/brewpubs, gourmet food and beverage facilities and cryo spas where liquid nitrogen and dry ice may be commonly stored for made to order ice-cream, specialty beverages and spa treatments. Occupying 49 square miles and with nowhere to go but up, high-rise buildings have become a large part of this CUPAs inventory. They have 468 buildings over 400 feet tall packed into the area with 100 more under construction or planned, no urban sprawl here. The unique makeup of the city, with mixed residential and industry everywhere complicates the CUPAs mandate to protect the public health and safety. That is one reason that DPH regulates all facilities with an aggregate total of 55 gallons of hazardous materials, counting all containers one gallon or larger. The availability of training which has gotten increasingly better with the centerpiece being the annual CUPA Conference augmented by Technical Advisory Groups and CUPA Forum Board sponsored trainings such as UST Inspector Training, Tiered Permitting, McCoys Hazardous Waste Generator, Train the Trainer and the recently completed cannabis training for inspectors. Sharing these training opportunities is cost effective, beneficial to new and seasoned inspectors, and provides opportunities for staff of all experience levels to share experiences and network. The enforcement tools that are now available like the Administrative Enforcement Orders help streamline enforcement which helps as a deterrent to other businesses, validates the inspectors efforts and facilitates fair and equitable administration of CUPA program requirements. The regional, program specific Technical Advisory Groups and CUPA Forum Board meetings are a great way of sharing information and problem solving as well as learning about what neighboring agencies are doing, emerging trends and new legislation. CERS presents a new challenge, one that will take some time and some changes to overcome but it will ultimately help both regulators and industry. The introduction of field inspection tablets to eliminate paper and improve data input will ultimately improve the CUPAs implementation of CERS. The Green Business program requires participants to comply with a checklist of specific items that take them well above the compliance baseline. This helps give residents some peace of mind knowing that the business is both conscientious and uses more environmentally friendly products which are typically less hazardous. The benefit for the business is a designation as "Clean & Green" with associated outreach which can help in an environmentally aware city where industry and residential communities are located in close proximity. The benefit for the CUPA is a subset of facilities setting the standard by going beyond compliance and making the inspectors job easier and more rewarding. In 2016, the CUPA established a Registration and Compliance Assistance unit. This unit field screens industry sectors to identify businesses likely to be regulated by the CUPA and helps new businesses and public agencies comply with the complex regulations in the CUPA programs. They help businesses set up a CERS account, explain the specific program requirements and operate similar to a consultant in assisting businesses and public agencies to achieve compliance. Compliance is always the ultimate goal and that is why outreach and compliance assistance is a program priority in fact it is a directive from the mayors office. This unit has helped improve business compliance and helped to get City Departments and sister agencies into compliance. Public agencies should always set the standard for compliance but getting them there can take some effort and this compliance team has made a difference. The scent of marijuana has long been wafting through music venues like the legendary Fillmore Auditorium and Winterland or the city streets like, well just pick one. As Californias newest industry, cannabis cultivation, processing and associated industries are estimated to generate 5 to 7 billion dollars for the state economy. In 2015 The City established an Office of Cannabis, allowing only indoor grows, currently there are forty growers registered with the office. They also have 56 processing facilities that extract the essential oils from cannabis. These facilities use a variety of solvents from butane, carbon dioxide, alcohol and ice water, each with their own inherent hazards. Various EHB programs including the CUPA work closely with the Office of Cannabis, Fire and Planning to permit and inspect these sites. CUPAs are still trying to find their role in this emerging industry and learning what works, new trends, success stories and mistakes helps to make us all better, so please share as you learn. Like every employer the City is always trying to attract the best and brightest people for their CUPA program. San Francisco has started an intern program that allows them to bring in trainees from local colleges to work on a specific project. As part of this program the agency must provide training to the intern that would qualify them to work in the CUPA program. The intern receives training in all six CUPA program elements including ICC and APSA certifications in exchange for the work they do on a project. This is a two year program that is mutually beneficial allowing the intern to see if they would like the job and enabling the agency to learn about a potential permanent employee. San Francisco is something different to everybody from a tourist mecca, a sanctuary city or a regional cultural hub, all of this make it a challenging place to implement a regulatory program like the Unified program. In the end we all do the same job but have different challenges and whether you are in Siskiyou county or San Diego county the regulations are the same. The City is a great place to live, work, play and visit and EHBs vision is to "Make San Francisco the Healthiest Place on Earth". They are definitely well on their way in part due to the work of their CUPA staff. Rocket engines, now gone silent, used to reverberate across Sacramento's cityscape and dominate the local economy. The Tower Theater and state fair were marquee attractions to this self-described "cow town". 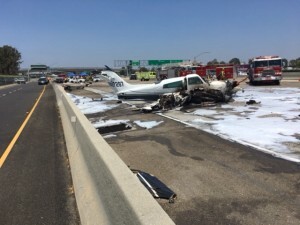 We caught up with Marie Woodin, The Interim Director of Sacramento's Environmental Management Department, who cannot afford the time to wax nostalgic for industries departed, or air bases long since closed. That was the Sacramento of yesteryear. The agency has 124 staff to support 32 regulatory programs. A large component is their CUPA program which has 30 staff members and 4,000 inspections to oversee with new college recruits to hire and a regulatory playing field to keep level. Today, Sacramento is the thriving capitol of the most populous state in the U.S.A., a techie's and hipster's destination, an ever changing landscape with a healthy and growing downtown that features the Golden One Center for NBA action and concerts, plus a sizzling nightlife. Sacramento has been deemed the Farm-To-Fork capital and the surrounding 1.5 million acres of farm land makes that a reality. In order to keep people and the environment safe in such a dynamic setting, the Sacramento Environmental Management Division (EMD) must challenge every assumption of business-as-usual. EMD is constantly working to stay ahead of changes in the law, industry, work force and society. Whether Marie's team is inventing new fee systems to reward good players, or training staff how to inspect cannabis growing operations, Sacramento EMD is creating solutions to problems others don't even know exist. A healthy economy of emerging industries, including technology, biotech and manufacturing, make attracting new CUPA employees especially challenging. True to their innovative nature, Sacramento County tables the usual job fairs and workshops to attract students, but also uses a variety of social media platforms to more effectively reach out to the new workforce. This effort helps to spread the word that a career in the public sector is personally rewarding and pays well. The Agency has a robust intern program that helps ensure the job is a good fit for both the agency and the individual. In the city of Farm-To-Fork, EMD benefits from Intern-To-Employee strategies, resulting in many excellent CUPA staffers. The CUPA universe has become so complex and technically challenging that it could give you a stabbing headache, like too much Leatherby's ice cream, a local favorite, too quickly. The CUPA program started in 1993 as a simple way to consolidate, coordinate and improve consistency of the existing regulatory program. Today, that simple concept has grown exponentially in size and complexity. In response to this increased demand for technical expertise, the EMD has assigned specialized teams for UST inspections, installations, removals and for Cal ARP oversight. While specialization is needed, the well-rounded generalist is also a valuable commodity and EMD incorporates a holistic approach to training their specialists. When needed locally or deployed via mutual aid, Sacramento EMD staff members will be a very valuable asset, able to assist in all core programs seamlessly. Not unlike the Gold Rush of 1849, the legalization of cannabis has the potential of dramatic impacts on California. The products will vary from choice "buds" to extracts, oils, creams and edibles. Along with the associated manufacturing processes, the cultivation and retail industry is projected to generate billions of dollars into the state economy. The City of Sacramento passed an ordinance, which allows indoor cannabis cultivators and manufacturers, they are issuing 200 licensed permits to these business groups. 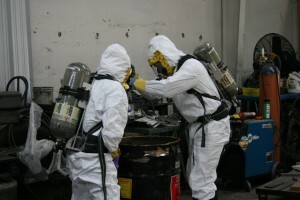 The Agency is ready for the challenge and is training their staff on the unique hazards that they may encounter during inspections, from explosive gases to poison oak. They will have a team of inspectors that will work to educate the stakeholders and to ensure compliance while this industry continues to develop, stay tuned. True to their pioneering nature, Sacramento EMD incorporates unique enforcement tools in their compliance program. To improve operator education/awareness, EMD created short compliance videos and have linked them to the inspection reports so owners and operators can easily view them using their smart phones. For businesses requiring additional oversight, the MFI, or More Frequent Inspection program, focuses resources on facilities that have critical violations and increases the frequency of inspections on these facilities until their level of compliance improves. Finally, EMD provides a portion of their enforcement money to compliant businesses as an Enforcement Revenue Credit, this is based on an algorithm addressing agency costs, etc., then reduces compliant facilities' bills as an incentive for continued compliance. Ensuring a level playing field is never easy, but the EMD strives to do just that, enacting enforcement actions businesses, and local, state and federal agencies, when necessary and rewarding compliance with innovation. Sacramento County Environmental Management Department has always been a leader with great vision. They were a founding member of the California CUPA Forum and are active in the annual training conference and statewide training of efforts while also participating in many work groups and committees that help improve CUPA program delivery statewide. Their success is the result of never being afraid of innovation or changes that improve program implementation. The Agency's long history of success and leadership are one of the many examples of CUPA agencies through California working and looking forward to make our great state healthier and safer. Protecting the environment and enhancing public health by preventing disease, promoting environmental responsibility and, when necessary, enforcing environmental and public health laws. Our goal is "Healthy People in Healthy Communities Free from Disease due to the Environment." San Diego Department of Environmental Health accomplishes it's mission through the work of its four divisions. Food and Housing (FHD) conducts more than 39,000 restaurant and food truck / food cart inspections each year and issues the appropriate A-B-C grade card. Land and Water Quality tests the water of our world-famous beaches and bays and posts the results for residents and visitors. Community Health conducts collection of household hazardous materials in the unincorporated county; coordinates the county's asbestos and lead programs; and runs the vector control program to keep us safe from diseases such as West Nile virus, hantavirus, Lyme disease, and others. Hazardous Materials Division regulates more than 13,000 businesses to ensure that hazardous materials, hazardous and medical wastes, are properly cataloged, stored and managed.